Dear AHMED: why u think nobody replied me my following question???? 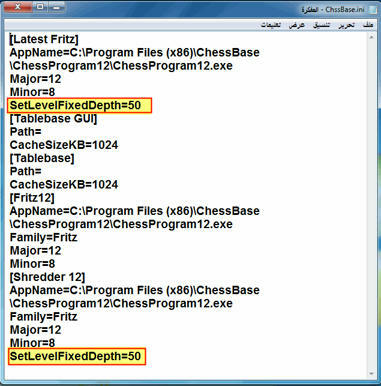 Chess2u » Computer Chess Software, GUIs » Free Chess Software » Dear AHMED: why u think nobody replied me my following question???? 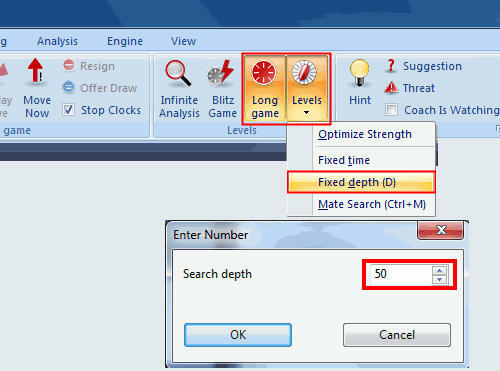 Could anybody explain me how i can change F12 "search depth" parameter , I mean which file (and where do i find that file) should i change to setup this change permanently and automatically each time i open F12 before or after restart my PC??? Re: Dear AHMED: why u think nobody replied me my following question???? about search depth: you mean Fixed depth Level ? Should i put a new post? Of the program's Help " Optimise playing strength "
* The Multimedia functions are switched off. * The hash table size is optimised. * The opening book options are configured for serious play.